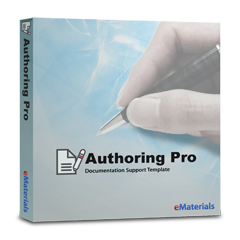 Authoring Pro is a Word® add-in product designed specially for pharmaceutical industry. 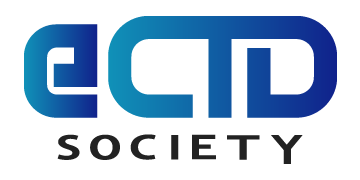 Our product not only provides template functions that suppot documentation but eQC function which checks for the requirements of eCTD applications as well. Using Authoring Pro, not only users will be able to create high quality documents efficiently, with features as APFinalizer, Authoring Pro Analyzer etc. together, it also provides an integrated authoring environment which makes an easy management possible as well. Style Heading Style Apply a hierarchical heading style. Caption Style Create a a Figure/Table/Appendix caption and apply with a caption style. Body/Table/Legend Style Apply a body/table/legend style. Numbering/Bullet Style Apply a numbering/bullet style. Utilities Header/Footer Open the header/footer editor of the current section. Copy headers/footers to the same position for printing. Page Break Insert different kinds of page breaks. Page Roatation/Insertion Rotate a page or insert one with a different orientation. Page Setup Apply page setup settings defined in the template to the current section. Table/Figure Insert or paste a figure/table along with a caption. Insert multiple figures simultaneously along with multiple captions. Cross-reference Insert cross-references using an optimized cross-reference panel. External reference Insert external reference texts from other Word documents with selected formats. Field Update Update all fields and detect error ones. TOC Create a table of contents with a pre-defined format. Create a joint table of contents of multiple documents. Heading Settings Alter prefix and start number for headings. File Merge/Split Merge documents or split a document with selected conditions. Special Symbols Insert special characters, units, medical parameters, etc. with pre-defined formats. Custom Call out self-made macros. eQC Automatically quality check documents for deviations based on eCTD requirements and template rules. APFinalizer Simplify processes (Accept all changes, Update fields, Set document properties, etc.) to finalize a document. Management APConfiguration Modify user interface, electric QC rules, etc. Analyzer Analyze logs from eQC and provide statistical information about document quality. Doc Manager View and operate on document information (document properties, document check status etc. ).